Classroom teachers across the country are often faced with decorating restrictions due to fire codes and school rules. For years they have also tried to figure out how to get their posters and signs to stick to the cinder block walls in the classroom. The following tips should work, individually or in-combination, for just about any wall. Try them out and your classroom will be decorated in no time! A low-temperature hot glue gun is a great tool for getting posters, banners, trimmers, and more to stick to the cinder block classroom walls. At the end of the year, the glue pulls off easily from the wall and does not do any damage. * Always use caution and only use the hot glue gun when students are gone for the day. Make sure to unplug it after use! *If the paint on your classroom walls is old and flaking, there is a chance that the glue could peel some of the paint off when it is removed. Test in a small, inconspicuous spot before decorating the whole classroom! 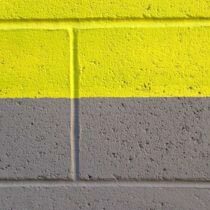 Mavalus Tape – available on Amazon is the only thing that worked for my cinder block walls. I couldn’t believe that my posters and makeshift bulletin board stayed up all year. Scotch Tough Duct Tape. It is the BEST. Works on cinder block with new paint and doesn’t peel. Stikki Clips hold wonderfully, but are almost impossible to completely remove off cinder block because the wax get down in every crevice. I am very interested in the Stikki Clips that were mentioned as well as the display strips. Where would I go to find them? I’d be in “you know what” creek if I used a hot glue gun! The Sticki Clips that you all sell work fantastic & can be reused again & again, as do the hooks that have the removable/replaceable sticky tapes. I love the Sticki Clips!! Also, Wall-Grip Hardwall Hangers for concrete, cinderblock and masonry are great for hanging things. I used it in my college dorm 25 years ago and now use them in my classroom on the cinderblock walls. You hammer the hanger into the wall and it puts 4 small pins into the wall that are holding a plastic hook. The pins are so small, you don’t see the holes when you remove them but they are strong enough to hold and stay in the wall. There are different sizes and strengths. I got mine at Home Depot. Command strips work well too! That’s the only thing I use now. Velcro works on cinder blocks and peels off at end of year. Mauvelous tape is amazing too!!! !